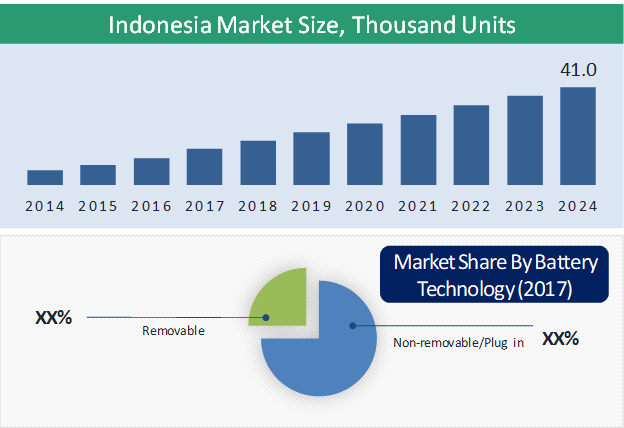 The Indonesian electric two-wheeler market is predicted to grow at 14.2% CAGR during the forecast period with its fleet size reaching 41.0 thousand units by 2024. 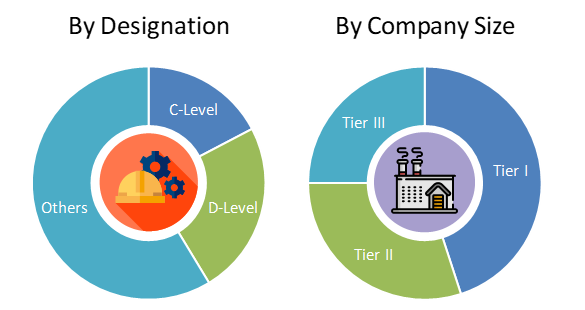 Indonesian light electric vehicles market is primarily driven by high level of vehicular pollution in the country and increasing demand to reduce CO2level by introducing a sustainable mode of transport. Different products including e-scooters and e-bikes are majorly contributing to the electric two-wheeler market size in Indonesia. Based on product, the market is categorized into e-scooters, e-bikes, e-motorcycles and others. E-scooters hold the largest share in the Indonesian market, in terms of revenue as well as fleet size. E-motorcycles are anticipated to witness the fastest growth during the forecast period. E-motorbikes also called electric motorcycles are plug-in electric vehicles, that functions similar to a traditional motorcycle but make use of electricity in place of gasoline. The e-motorbikes have a slightly higher speed compared to e-bikes and e-scooters, which is generally more than 50km/hr. On the basis of battery type, the market is segmented into sealed lead acid, Li-ion, and NiMH. Of all, sealed lead acid is the most common type of battery used in the electric two-wheelers in Indonesia. Lower prices are the primary reason behind the highest share of sealed lead acid battery in the Indonesian electric two-wheelers market. On the basis of battery technology, the market is categorized into removable battery and non-removable battery. Of both the categories, non-removable batteries are majorly used in the market as it is convenient for electric two-wheelers to plugin and charge batteries instead of removing and charging indoors. Based on voltage, the market is segmented into 24V, 36V, 48V, 60V, 72V. Of all, 48V electric two-wheeler hold the largest share in the Indonesian electric two-wheeler market, followed by 36V two-wheelers. Most of the e scooters run with a battery of 48V which provides it optimum power to perform better in the congested metropolitan cities of the country. The increasing awareness regarding the usage of electric vehicles, need to curb vehicular emissions, and government initiatives are the key factors fueling the growth of the electric-two wheelers market in Indonesia. Government plans to collaborate with the manufacturers to increase the electric vehicle fleet size in the country. The market for light electric vehicles is still in its nascent stage in the country. In March 2018, Mitsubishi Motors Corp. has partnered with the Indonesian government on the use of electric vehicles to help the country reduce exhaust emissions and develop a greener environment. However, the high cost of the battery and thus of electric vehicles is the key factor hindering the growth of the Indonesian electric two-wheelers market. Zero Motorcycles Inc., Segway, Inc., Viar Motor Indonesia, Skutis Corporation, and Xiomi, Inc. are some of the key players operating in the Indonesian electric two-wheelers market. Note: Financial insights and recent developments are subject to availability of information in secondary domain. Table 20 Snapshot – Zero Motorcycles Inc.
Table 21 Snapshot – Segway, Inc.
Table 24 Snapshot – Xiomi, Inc.